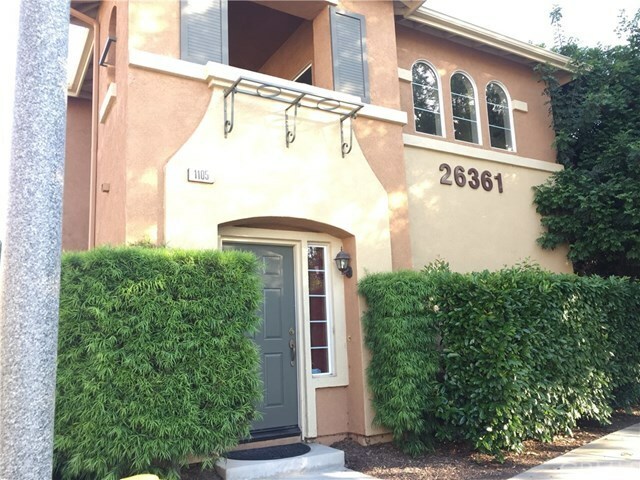 Lovely corner unit in the highly desirable Arboretum community. UPGRADED with GRANITE COUNTER TOPS! NEW CARPET! NEW PAINT! All living areas on the same level. Balcony off the main living area, giving views and privacy at the same time. Spacious dining and living room with slider to the BALCONY. Community has TWO POOL AREAS, PARKS, CLUBHOUSE. Centrally located in the Murrieta - Temecula area just east of the 15 and 215 split. Close to schools, shopping, restaurants and the freeway for commuting. "Sand to Sea Properties, Inc. provided stellar customer service from beginning to end. Throughout the entire process Frank and Lisa guided us and were always available to answer any question or concern, and were prepared for any curve ball throughout the home buying process. Their expertise in real estate became such a comfort to know we were working with top notch individuals who were not just incredible at what they do, but also enjoyable to be around. We highly recommend Sand to Sea Properties for your home buying or rental needs." Receive email updates of new listings, free! **Frank represents clients as a broker, and not as an attorney. Do not rely on information on the internet solely; consult appropriate professionals for your particular financial and legal situation. Information is pulled from many sources to serve you; it is deemed reliable and not guaranteed.